EverybodyFights will be popping up here, in Endeavor Athletic's upstairs studio. EverybodyFights, a boutique boxing club that is slated to open in Center City in January 2019, is hosting weekly pop-ups all throughout December at Endeavor Athletic to give everyone a taste of their signature boxing workout. 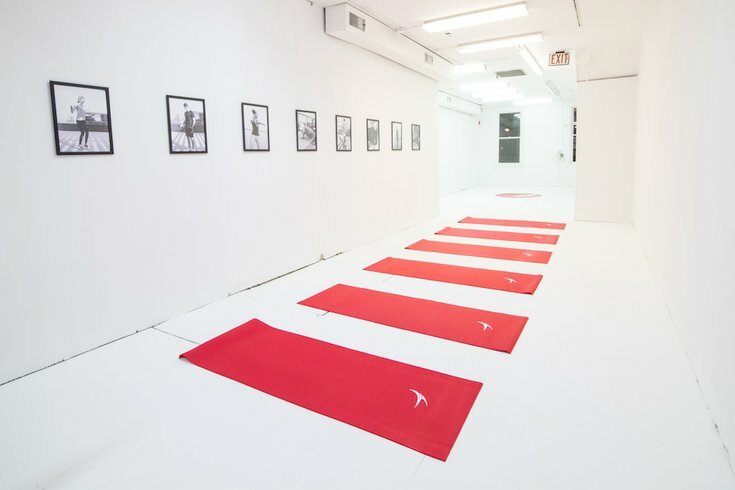 Endeavor Athletic, which may appear to be solely a fitness apparel store, is also a local hub for pop-up workouts, hosting everything from yoga to bootcamps and more. On four Saturdays in December, certified EverybodyFights instructors will host free hour-long sweat sessions in Endeavor’s space from 11 a.m. to noon. The workouts will consist mainly of shadow boxing and bodyweight moves, since EverybodyFights is not about to lug their heavy bags to and from their soon-to-open 1900 Market St. location every week, but you can still expect a top-notch boxing workout. While these workouts are free, space is limited, so they are asking that everyone reserve their spot — which you can do here — prior to class. The EverybodyFights pop-ups will be taking place on December 1, 8, 15 and 29. Endeavor Athletic is at 119 S. 18th St. in Rittenhouse.